Today marks the 36th anniversary of the Supreme Court’s Roe v. Wade decision that overturned or outlawed all laws in this country that restricted or prohibited abortion. Even with this ruling in place, in 1988, seventeen-year-old Becky Bell, afraid to tell her parents about her pregnancy and thus unable to obtain the parental consent required of minors for an abortion in her home state of Indiana, died from an infection following a back-alley procedure. President Obama (yup, still like the sound of that!) in a written statement today said, "On the 36th anniversary of Roe v. Wade, we are reminded that this decision not only protects women's health and reproductive freedom, but stands for a broader principle: that government should not intrude on our most private family matters. 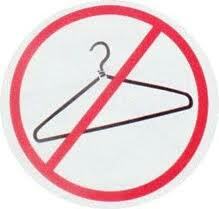 I remain committed to protecting a woman's right to choose." Bravo, Mr. President. But please remember that there's still a lot of work to do here. May Becky Bell’s memory remind you that your actions in this arena must be swift, confident and courageous. Becky and her family deserve nothing less.